Many of us have sacrificed our own needs for the sake of the work that calls. The need to restore balance personally, as well as collectively, is something that is true for just about everyone. With the Earth Treasure Vase for Hawaii, our intention is to make this need conscious and spoken, knowing that it must be so for our collective healing to be complete. We offer ourselves to this vase with the intention of restoring balance between our inner and outer lives as individuals, between the masculine and feminine in right relationship, and between our collective body and the body of Earth, herself. 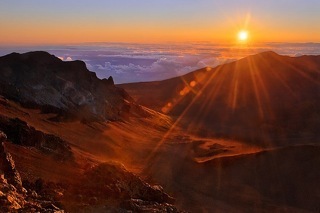 Following an Earth Treasure Vase meditation and ceremony on December 21, 2011, we will be burying the 26th ETV in a protected location on Maui, Hawaii, never to be disturbed — its prayers radiating out in every direction for all time. Learn more about the Hawaii vase here. This entry was posted on Monday, December 19th, 2011 at 9:38 pm	and is filed under News. You can follow any responses to this entry through the RSS 2.0 feed. You can trackback from your own site.